China would rather its citizens didn't talk too much about the Panama Papers. A coalition of news organizations has seized global attention with a barrage of reports based on a massive document leak from a law firm in Panama. The reports, which CNN hasn't been able to independently verify, allege top officials and people connected to them around the world hid wealth through secret offshore companies. China's online censors are restricting many search results and discussions on social media involving the terms "Panama Papers" and "Panama." They're also censoring use of the names of relatives of current and former Chinese leaders -- including President Xi Jinping -- that are mentioned in the reports. At a news briefing Tuesday, Chinese Foreign Ministry spokesman Hong Lei declined to comment in response to repeated questions about the reports, which he described as "pulled out of nowhere." 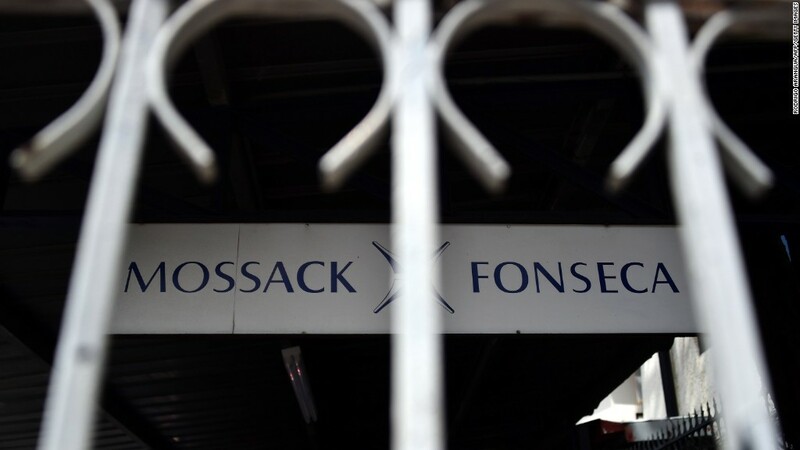 It's not against the law to have offshore financial holdings, and the leaked documents don't necessarily indicate illegal activity. But the personal finances of Chinese leaders and their family members is a hugely sensitive issue for the ruling Communist Party, which is in the midst of a sweeping anti-corruption campaign led by Xi. Chinese authorities blocked the websites of The New York Times and Bloomberg in 2012 after the news organizations published separate articles about the wealth of relatives of top leaders. China also delayed renewing visas for journalists from the two companies. The Panama Papers have brought the wealth issue back into the spotlight again, and China appears to be using its vast censorship apparatus, known as the Great Firewall, to block information it deems sensitive. Some media organizations inside China have carried reports, mainly in English, about the Panama Papers -- but without any mention of a Chinese connection. Some articles that covered the allegations concerning allies of Russian President Vladimir Putin have since been deleted. Moscow has dismissed the reports about the Putin associates as a "series of fibs." There was broader coverage of the Panama Papers in English-language articles published by China's official news agency, Xinhua, including the political furor caused in Iceland. But those articles aren't aimed at a domestic Chinese audience. Chinese state media also questioned the credibility of the reports and the motivation for the leak. The Global Times, a Communist Party-affiliated tabloid, published an opinion article in both Chinese and English whose headline claimed a "powerful force" was behind the Panama Papers. "Information that is negative to the U.S. can always be minimized, while exposure of non-Western leaders, such as Putin, can get extra spin," the English-language version of the article said. The group of news organizations privy to the huge trove of documents hasn't identified the source of the leak, who is reported to have first contacted the German newspaper Suddeutsche Zeitung. The newspaper then shared the files with the International Consortium of Investigative Journalists (ICIJ). The source is an individual "who claimed to be basically concerned about what he or she saw in the documents," Gerard Ryle, director of the ICIJ, told CNN on Monday. Mossack Fonseca, the law firm at the center of the controversy, has suggested it was the victim of a data breach. "Nothing we've seen in this illegally obtained cache of documents suggests we've done anything illegal," the firm said. -- Shen Lu, Tim Schwarz, Will Ripley, Christiane Amanpour and Mick Krever contributed to this report.